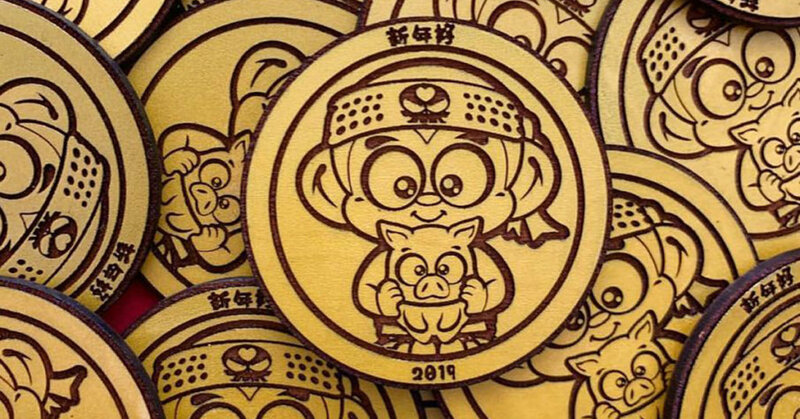 Hyperactive Monkey CNY 2019 Sofubi by Hyperactive Monkey x Umi Toys Hawai’i! Happy Chinese New Year to all our readers that celebrate CNY! Happy year of the pig! To celebrate, Umi Toys Hawai’i are teaming up with Hyperactive Monkey to bring you a special CNY release today! Umi Toys Hawai’i are releasing lucky envelope blind bag sofubi figures, packaged in a red lai see (envelope). One random Hyperactive Monkey mini sofubi figure in either gold or red colourway will be found in the lae see. Everything is designed by Hyperactive Monkey. There are only 12 of these available for $15 (£12) each. Available to purchase now at umitoyshawaii.com! The mini Sofubi figures are 2.25inches tall and made in Japan with a mini header card bagged with a sticker. Wishing you happiness and health for the upcoming year! With love, Hyperactive Monkey and Umi Toys Hawai’i!